The International Bluegrass Music Association (IBMA) – the professional trade organisation for the global bluegrass music community – announced that Joe Spann has joined the organisation as Member Services Manager. Spann will be based at IBMA’s office in Nashville, Tennessee and will report to Executive Director Paul Schiminger. Joe’s duties will include maintaining direct communication with members regarding membership activation and renewal, identifying new programs to assist member career advancement, and coordinating the World of Bluegrass registration experience. Joe Spann will serve as the Member Services Manager at the Nashville, TN headquarters. This was an important position to fill given the IBMA is a trade association that exists for the professional development of its members and the advancement of bluegrass overall. When Joe became interested in the role, everyone in the office was excited about the chance to add someone who is both detail oriented and who has extensive customer service experience. On top of that, Joe is already known to a number of bluegrass professionals through his previous work within the banjo community. He is the perfect complement to an already strong staff – Executive Director Paul Schiminger. A native Floridian, the first decade of Joe’s career was spent as a professional musician, performing on guitar and banjo while touring on the road, working in recording studios and entertaining at central Florida theme parks like Walt Disney World, Sea World and Boardwalk & Baseball. He continued performing part-time while serving as the director of the Polk County Historical & Genealogical Library for twenty years. 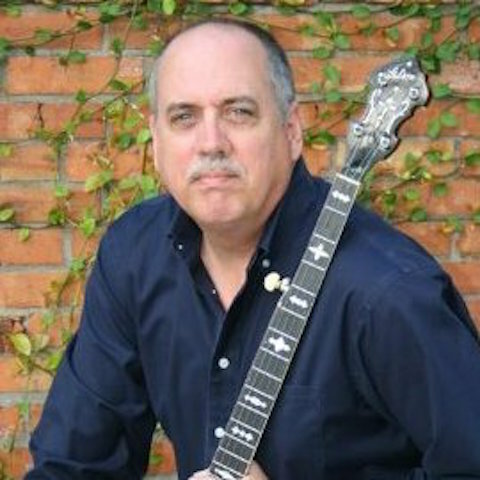 Since 2011 he has become internationally known as the author of the reference book Spann’s Guide to Gibson 1902-1941 now considered the definitive guide to identifying and dating the stringed instruments built by the Gibson Company prior to World War II. Joe moved to Nashville in 2012 and spent three productive years as shop manager at Huber Banjos, working with marketing, sales and production. I am happy to be a part of the team at IBMA and I look forward to helping the bluegrass music community prosper and grow. I hope my service will help create opportunities for musicians, industry representatives and fans alike to become more involved in our music – Joe Spann.